Here’s another quick look I did using the Benefit Creaseless Cream eyeshadows. I seem to be doing a lot of eye looks right but the eyes tend to stump most people? Anyway, this is a very quick and dead easy way to get a smokey eye look either for work or to go out partying. 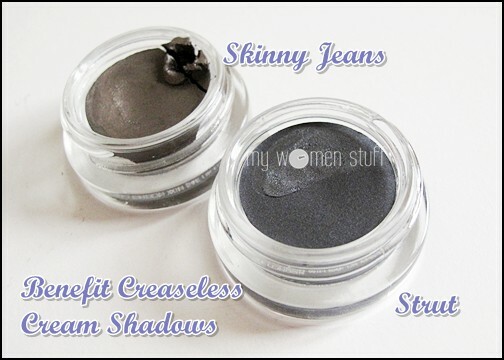 You will need the 2 products I used though – Benefit Creaseless Cream shadows in Strut and Skinny Jeans. For the eyes, what you need in this case is unfortunately the Benefit Creaseless Cream eyeshadows. You could try with a substitute but I won’t know how it’ll turn out. Its so fast and easy I’ve been doing this look nearly every day, in different variations ever since I picked up Strut. I kept the rest of the face light. For cheeks I’m using the Benefit powder blush in Thrrob. I’m still feeling my way around it so you’ll have to wait a bit for a full review. If you are interested in the products used for the rest of the face, here they are. NEXT POST: Guerlain Meteorites Perles Loose Pearls Illuminating Powder Teint Rose – Love the new packaging dahling! sigh, so pretty wifout being overdone…i want! 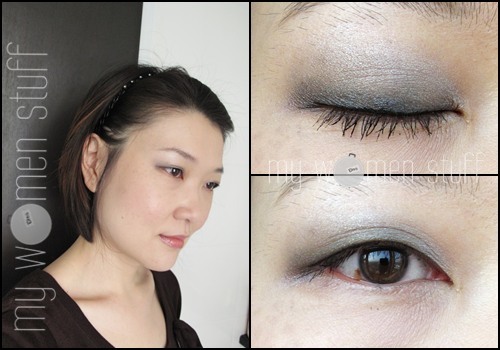 Wow… Smokey eyes simplified. Pretty! This is a definitely 101% gorgeous work look! I love how you do your eyes PB! Perfect for your eye shape! I was tempted by this but didn’t get it partly because the rose scent of all their powdered products bother me. I do like the metal packaging more than the card board though! I did however pick up their Parure foundation this weekend – their liquid products have a completely different smell, thankfully. i was just wondering, how did u blend both colors? the strut and skinny jeans together? i only have the strut, if i dont put skinny jeans, what will be the effect? does it look unnatural?